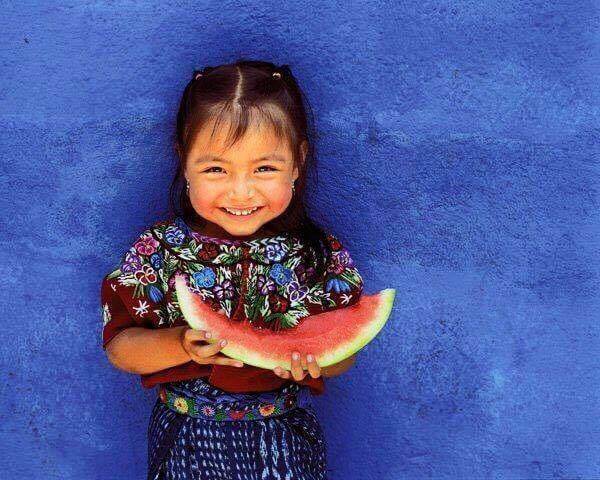 Lake Atitlan’s Mayan villages San Marcos, San Juan, San Pedro are most interesting for the pure culture that is expressed in their daily life. As you bike through the villages and county side, through coffee fields, and farmlands you will see villagers going about their lives as they have for centuries. 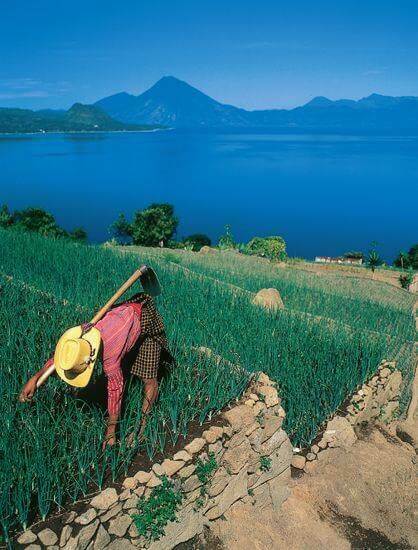 Our Lake Atitlan Bike Tour through the lakeshore villages is one you won’t forget! Between San Pablo and San Juan is the longest stretch of county side and offers the best views of the lake shore of Lake Atitlan. After some nice country side and perhaps a pic-nic lunch at the lake shore, we enter San Juan la Laguna, the “Swiss village” of Lake Atitlan. You can quickly peddle through the picturesque town, or stop for a complete tour of this interesting town. If you choose, you will spend approximately 3 hours on a guided tour where you learn about the unique changes that have transformed this Tzutujile Mayan village into a model community. Visit art galleries, woman’s weaving cooperatives, a medicinal and curative plant garden operated by the comedrones (mid-wifes), a coffee tour, the school and library, cofradia shrines, and even the mayor’s office. You will meet several families, visit with them about how their lives have changed through experiential tourism. See a traditional children’s dance performance, and learn about the story behind the dance. Enjoy lunch with local recipes from this area, or if you prefer enjoy a cheese sampler platter with over 20 cheeses, all from Guatemala. (Lunch not included in tour price). Several famous painters are from San Juan and we visit their galleries to see them at work. The village has over 40 public murals depicting important elements of the Mayan culture, the Mayan calendar and counting system. Your guide will explain the meaning behind each mural; including the Mayan story of creation, ceremony, counting system and the development of mathematics and the 5000 year old calendar. Women Weavers and Nuestra Artesania includes demonstrations showing how the beautiful fabrics are made; from harvesting the cotton, to spinning it into yarn, dieing the yarn, and then creating one of-a-kind fabrics with the back strap loom. The Qomaneel center is a medicinal and curative herb garden operated by the midwives of San Juan. You are guided through the garden and given samples of each plant along with a description of its curative powers. All natural soaps, teas, and shampoos are made on the premises. Learn about the cofradia system and how it helps keep the traditions, both Catholic and Mayan. Depending on time and your interests, we can complete the bike tour in San Juan, or continue on another 20 minutes into San Pedro. Lake Atitlan’s Bike Tour is adventure its purest! $80 per person for the complete bike ride. $15 additional for the complete tour of San Juan.